Welcome to the Lou Trek Show. Bryan got hacked. Searching Ebay for Trek stuff. What Trek races makes Bryan a little angry. Tech Podcast Network Listener Survey. Are Trek Actors in love scenes really naked under the blanket? You can download the MP3 version of this show by clicking here. Star Trek and all related material are registered trademarks of Paramount Pictures. All information relating to Star Trek on the following pages is solely intended for the entertainment of the viewer or listener only. All known information and image sources have been credited, no copyright infringement is intended. 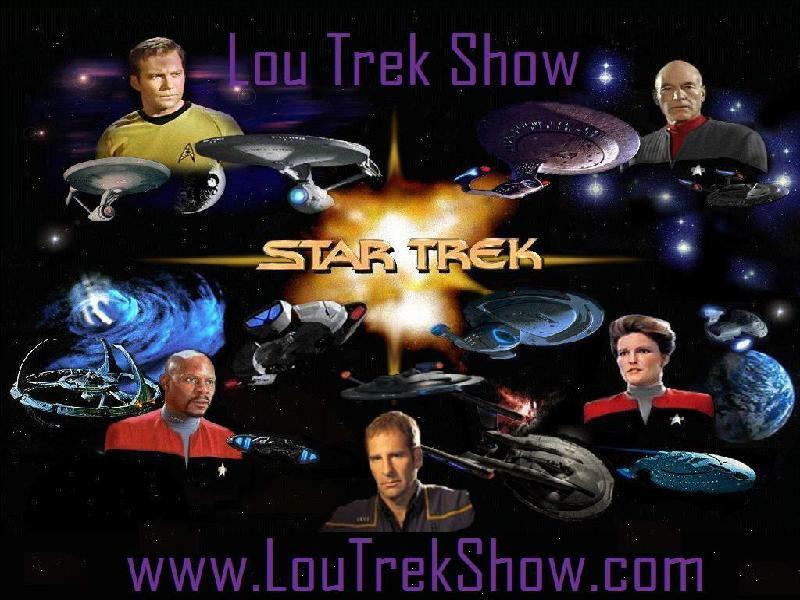 All original LouTrekShow.com content, Copyright 2010 - 2011 by Costanzo Media. All rights reserved. Lou Trek Show by Lou Costanzo is licensed under a Creative Commons Attribution-NonCommercial-ShareAlike 3.0 Unported License.